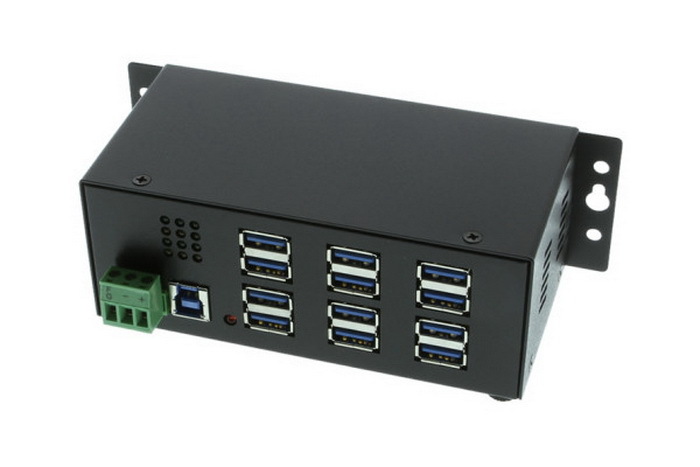 The USBG-12U3ML USB 3.0 hub can be powered with a three wire terminal block connector (9-48V) with AC Adapter Required, the AC adapter is sold separately for peripherals requiring more power consumption (pictured below). 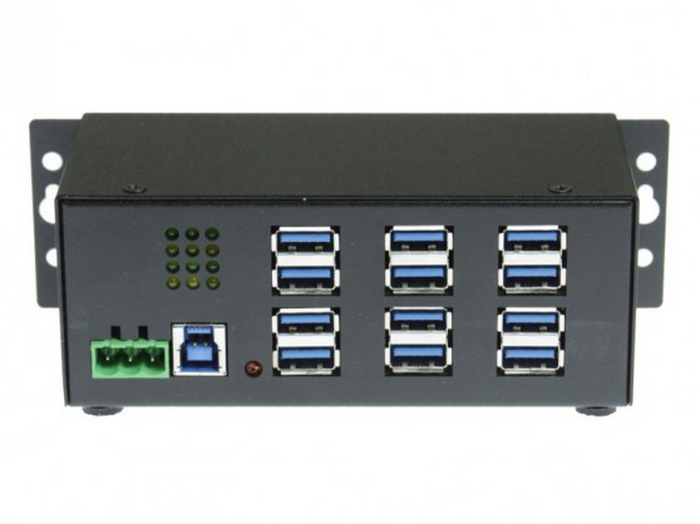 The USBG-12U3ML is a Super-Speed USB 3.0 12-port hub that is backward compatible with USB 2.0 and 1.1. 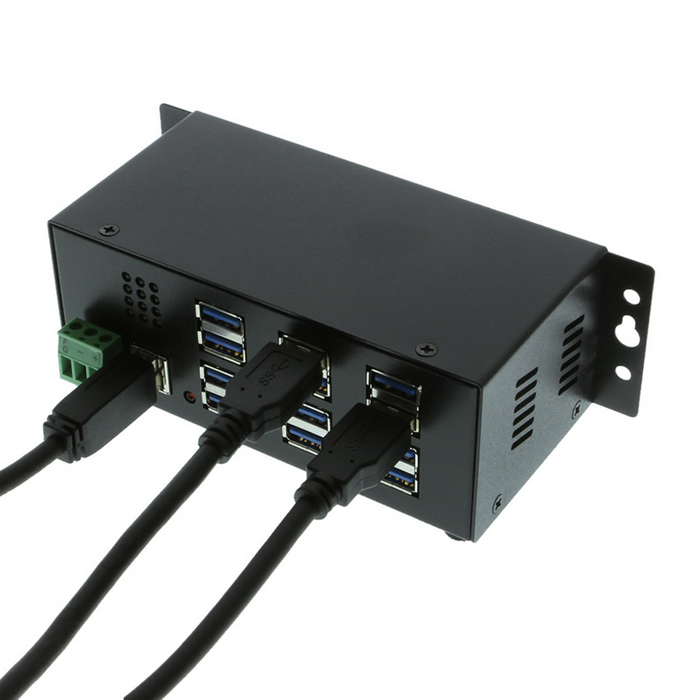 It provides an out of the box industry standard that allows connection of up to 12 USB peripherals or devices to your USB ready PC or Mac. External power supplies are sold separately for the USBG-12U3ML Hub. • LEDs provide port status for each port and power status. 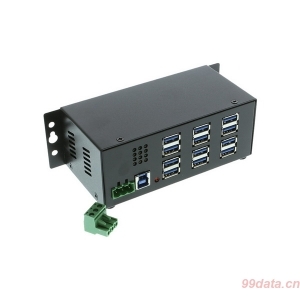 • Supports 12 external USB 3.0 Type-A connectors and 1 Type-B Upstream connector. • Power Supply for this Hub IS NOT included and must be purchased separately.